This week we are going to see Yelp reviews of Red Rocks Park and Amphitheatre, located at 18300 W Alameda Pkwy, Morrison, CO 80401. 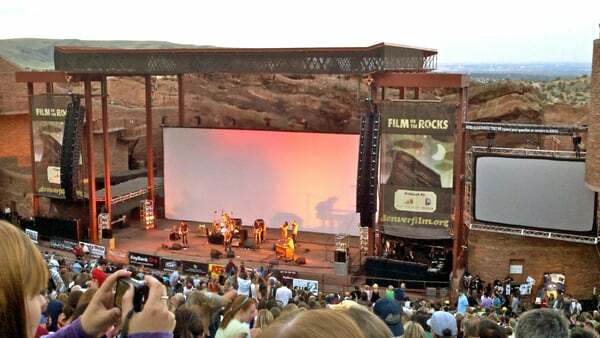 If you think of Red Rocks Park as just a beautiful place to see a concert, think again! Around you are 868 acres of deer, dinosaurs, pines and prairie, geological wonders and spectacular vistas. At 6,450 feet above sea level, Red Rocks Park is a unique transitional zone where the Great Plains meet the Rocky Mountains. Red Rocks offers a variety of recreation options from guided tours, hiking, biking, shopping, dining and a summer concert series. Whatever your pleasure, enjoy discovering Red Rocks Park and Amphitheatre!